The workshop aims at enabling its participants to work actively on their own scripts under guidance of two excellent mentors (script doctors). From the applications for participation in the workshop received from all over the world, our commission has selected six proposed script projects of filmmakers. All of them are authors or co-authors of short, documentary or animated films and are now working on their first feature-length film scripts. Srđan Koljević is a scriptwriter and director, born in Sarajevo in 1966. He obtained his degree in Dramaturgy from the Belgrade Faculty of Dramatic Art where he now teaches. He wrote and co-wrote scripts for 11 feature-length fiction films. He also directed three films based on his own scripts. The films he worked on were shown and awarded at major international film festivals. Three of his films were nominated for an Oscar and one of them (The Trap) was shortlisted with eight final nominees. He is one of the most awarded scriptwriters in the region, including all national script awards and numerous European film awards. Circles, a film that he wrote, won numerous awards, including those at Sundance Film Festival and Berlin International Film Festival. Pjer Žalica was born in Sarajevo in 1964. He graduated from the Department of Directing at the Academy of Performing Arts in Sarajevo, where he now teaches Directing and is the Dean. He has lectured at various academic institutions in Europe and the US. Žalica is one of the partners in the Refresh production company. He is the author and director of various TV shows, series, commercials, music and promotional videos, as well as a number of theatre plays, shorts, documentaries (Mostar Sevdah Reunion, A Slave) and two feature length films: Fuse, Days and Hours, Orchestra. He has produced several shorts and one feature film. He received various local and international awards. He is a member of the European Film Academy and the Supervisory Board of the Sarajevo Film Centre. After growing conflicts with her mother and a psychiatric diagnosis, 13-year-old Erika runs away from home to Copenhagen, hoping to find her long lost father who she has come to idealize. Here, she meets the disillusioned and homeless Ib (52) and a fragile alliance forms. Together they set on a grand adventure, through the many social layers of everyday Copenhagen, in search of an adult who might have answers and the meaning of life in a complex modern world. Expecting results of the public call of the Danish Film Institute for low-budget fiction film, depending on the revised treatment (to be developed in Zagreb) and revised production plan. Took part at the Tallinn Black NIghts Film Festival pitching workshop. Diana's List is a docufiction with intertwining stories of Diane Obexer Budisavljević, an Austrian woman who initiated a rescuing action to save children from WWII Croatia (then a Nazi puppet-state), and those of the survivors, who never learned who had saved their lives. 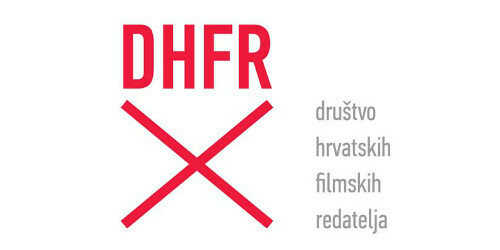 Supported by Croatian Audiovisual Center (HAVC) for script development, by HAVC for production, by MEDIA for single-project development and by Slovenian Film Center as the minority producer. In order to complete her studies, Marta has to go to a small town called Drenje, where the so-called "penal colony" of the eccentric Professor Marković is located. Upon her arrival, she realizes that the project is connected to the long-year research of the disaster that affects the environment and all living creatures in it. In Drenje, when natural sounds are recorded, strange noise occurs. It is believed to have to do with the behavior of the locals. Shaking off her initial indifference and inertia, Marta gradually becomes part of Drenje and does not want to return to her city any more. All she wants is to stay there and understand the causes of the disaster she herself has started to feel. Born in Osijek in 1987. Completed the one-year Film Directing program at FAMU in Prague. She earned her degree in Film Directing from the Zagreb Academy of Drama Art. She wrote and directed several short films. She is currently developing the script for her first feature film, Drenje. Filmography: Ljevoruki (2015), Zapis 2 (2013), Malo zraka (2014), 6 pola 7 (2014). The Year of the Pig depicts a one-year period in the lives of three friends. In a country that – to use the election terminology – calls itself “the society of knowledge”, they are looking for a job based on their skills and qualifications, but they keep bumping into closed doors. Since the government and its policy seem to support such a system, the protagonists are forced to opt for alternative ways of survival. Ivan Sikavica graduated from the Zagreb Faculty of Political Science. Completed his studies at the Zagreb Academy of Drama Art. Member of Croatian Film Directors' Guild. He has made five short films so far. The script for The Year Of The Pig is his first feature-length project. His films: So Not You (2014), Babysitter (2013), Son (2013), Špansko – The Continent (2010). The project has been supported by Croatian Audiovisual Center in the category of script development. A story about two girls getting older but not growing up. Bambi wants a night of passion with her ex and is heading to the Cockatoo Inn in Wales for her first shag in over two years. Best friend Al is fresh out of prison and insists on tagging along for the ride. As they travel across the country, Al fills the journey with obstacles. They also encounter a mix of people, each of whom impacts their journey and eventually helps them rethink their trajectory. Kyla is a graduate of London Film School. Her film The Interpreter has been long-listed for the BAFTA Short Film Award in 2015 and awarded Best Student Short at London Short Film Festival. Gorana studied writing and directing in Belgrade and London. Her film King for a Day has been nominated for the Student Television Award by the Royal Television Society in 2014. Buda (44) is a cold and professional court bailiff. One day he has to evict a hippy middle aged woman who doesn’t let herself be kicked out of her apartment. During their fight, Buda becomes obsessed with the case, driving the woman into a tragic decision: she blows herself up with a gas cylinder not to lose her home. Buda doesn’t feel responsible for the tragedy but he is reported for negligent homicide by a civil rights organisation. Struggling with bad remorse Buda is trying to prove his innocence to the court and to himself. Born in 1988, Máté Fazekas studied film theory and history, and later screenwriting at ELTE University in Budapest. He is currently a freelance screenwriter, who recently finished a two-year gig at Hungary’s most popular daily TV-series as a storyliner. He has written and produced short films. Currently, he is developing a TV-series for HBO Hungary, based on his own idea. The project has received script development funds from the Hungarian National Film Fund recently. It also participated at the Midpoint Central European Script Center’s workshop in August 2015.